Pizzeria da Francesco around the corner from the Piazza Navona in Rome serves piping hot pizza bianca with sea salt and rosemary alongside a plate of prosciutto (they serve San Daniele prosciutto which in my opinion trumps prosciutto di Parma, believe it or not). 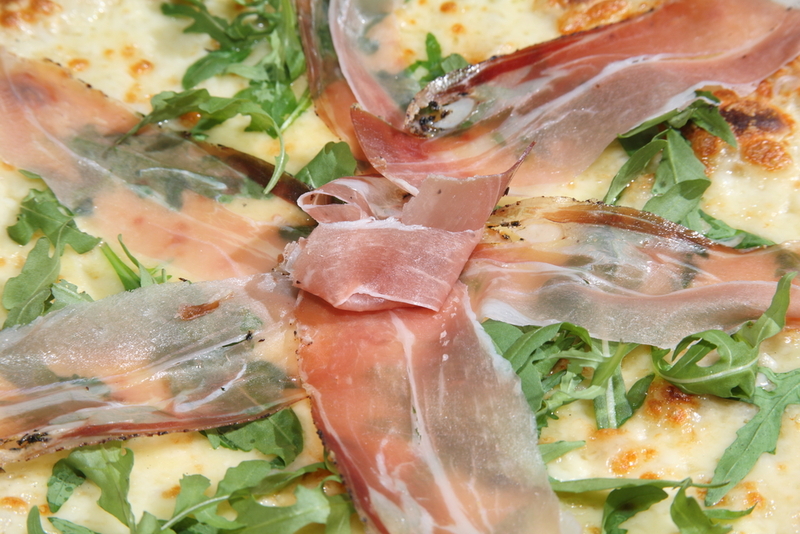 Prosciutto and melon or figs - the perfect mix of sweet and salty. Wait for the height of the melon or fig season. I think my husband fell in love with me when I introduced him to prosciutto and melon in Rome. Smoked gouda and caramelized onion quesadillas with prosciutto. This is not an Italian dish so the recipe won't make the blog but email me for the recipe and you will be a rock star at your next cocktail party. Prosicutto Wrapped Asparagus - this is a perfect recipe right now as Spring is upon us or on its way (that's what they tell us anyway). You can serve this as an appetizer or a side dish. Place in oven and roast for about 10 minutes until prosciutto is caramelized and the asparagus is just tender.